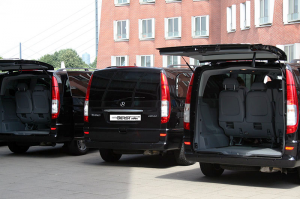 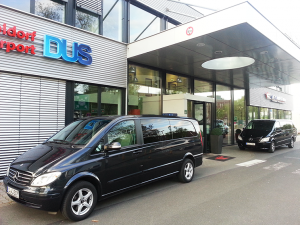 Mercedes Viano Van - Our comfortable fleet in Dusseldorf! 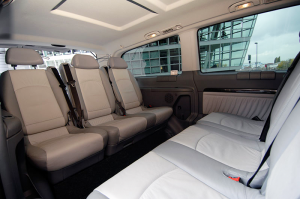 7 individually adjustable leather seats, which are aligned in conference seating, leave the interior of the car appear to be a true meeting room. 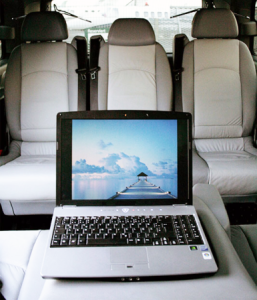 Seats can also be used as a table function to store notebooks or writing materials. 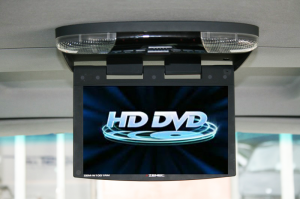 Our Mercedes Viano vans are further equipped with DVD and TV entertainment systems for guests in the rear passenger compartment. 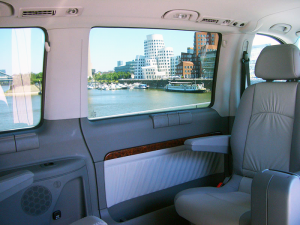 A separate air-conditioning system in the passenger area makes every transfer a pleasant climate.